Born in Fordyce, Arkansas, on August 5, 1938, author and theologian James Hal Cone witnessed the hypocrisy of white Christian racism along with the power and community of black churches. His writings advocate Black Liberation Theology. Cone graduated with a BA from Philander Smith College in 1958. Three years later he received a Master of Divinity degree from Garrett Theological Seminary and earned his MA and PhD from Northwestern University in 1963 and 1965 respectively. Cone was influenced by the Civil Rights and Black Power movements that shaped his understanding of Christianity. He grappled with the paradoxical nature of Western Christianity—its espousal of brotherhood and its simultaneous embrace of institutional racism. He recognized that, over centuries, white Christian churches not only remained silent partners in the exploitation of various groups but also actively engaged and profited from it. His most influential work, Black Theology and Black Power (1969), was a critique of racism within Christianity and indicted established black churches for their inability to appreciate the Black Power movement and their continued cooperation with the systemic oppression of white churches. Cone instead advocated Black Liberation Theology, a doctrine based on Christian Liberation Theology arguing that humanity must liberate itself not only from spiritual slavery but also from poverty and economic degradation. According to Cone, the Scriptures call for a stronger emphasis on helping liberate people from slavery, oppression and degradation in all forms, and that most established churches ignore this call. Cone’s other works include A Black Theology of Liberation (1970), God of the Oppressed (1975), and Martin & Malcolm & America: A Dream or a Nightmare? (1991), all built on the idea of Black Liberation Theology. Cone’s work questions not only institutional racism but also class and gender discrimination within the Christian establishment. He became more responsive to issues of gender and the place of black women in black churches after being challenged by feminist critics for his male-centered analysis. Nonetheless most of his most virulent criticism is directed at capitalist economic structures that oppress all citizens regardless of gender or color. Cone believes that understanding and unmasking social, economic and political exploitation within the Church and community is a pathway toward a truer liberation. 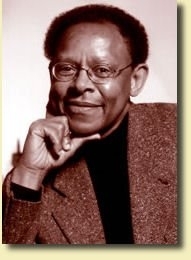 James H. Cone’s views unexpectedly gained national exposure in 2008 with the controversy over the remarks of Reverend Jeremiah Wright, the former minister of Trinity United Church of Christ in Chicago and former pastor of President Barack Obama. Reverend Wright is one of the leading proponents of Black Liberation Theology. James H. Cone is the Charles A. Briggs Distinguished Professor of Systematic Theology at Union Theological Seminary in the City of New York. He is also an ordained minister in the African Methodist Episcopal Church. Rufus Burrow, Jr., James H. Cone and Black Liberation Theology (Jefferson, NC: McFarland & Co, 1994); Dwight N. Hopkins, Black Faith and Public Talk: Critical Essays on James H. Cone's Black Theology and Black Power (Maryknoll, N.Y.: Orbis Books, 1999); Harry H. Singleton, Black Theology and Ideology: Deideological Dimensions in the Theology of James H. Cone (Collegeville, MN: Liturgical Press, 2002).